Membership runs for one year from the date of purchase. Your payment to HCSL is tax-deductible. 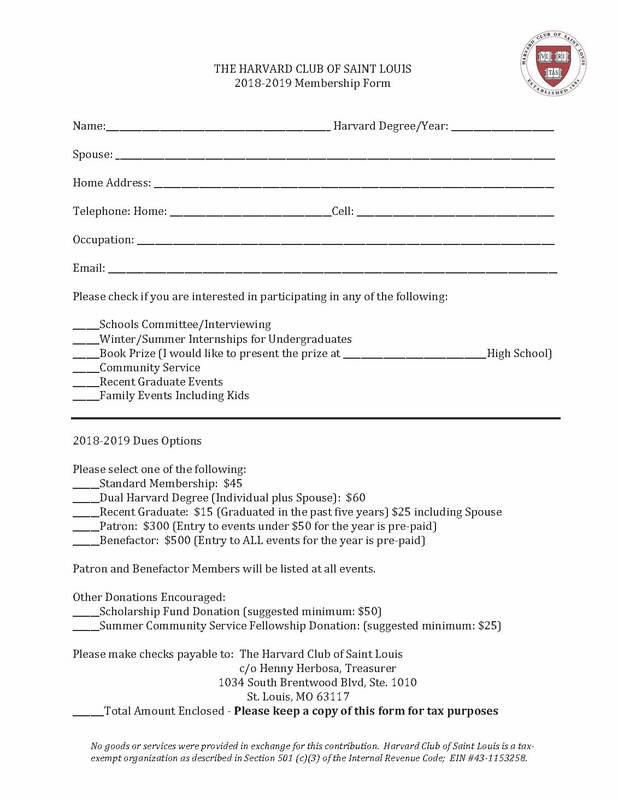 Please join now to support the oldest Harvard Alumni organization west of the Mississippi! Description: Our general membership level, open to all members. Includes invitation to all Club events throughout the year.